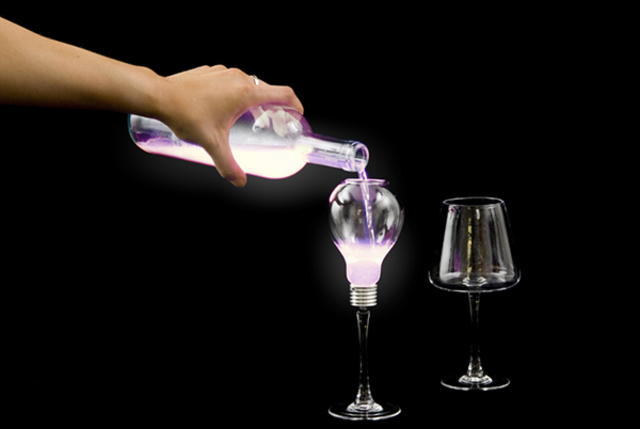 Sit back and pour yourself a glass of … liquid light? This bright idea challenges the notion that lighting must come from fixed solid objects – table or floor lamps, overhead light strips and other stationary objects are not the only source of illumination at our disposal. 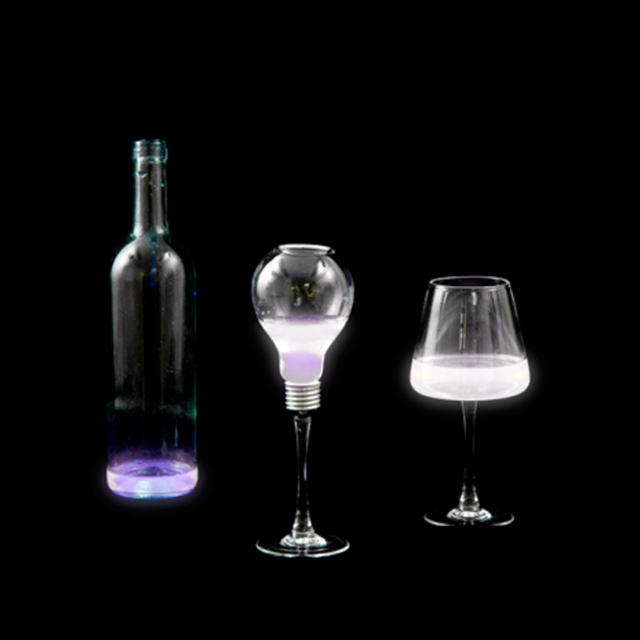 Back and forth between bottle and glass, the glow of the substance is consistent from one vessel to the next. 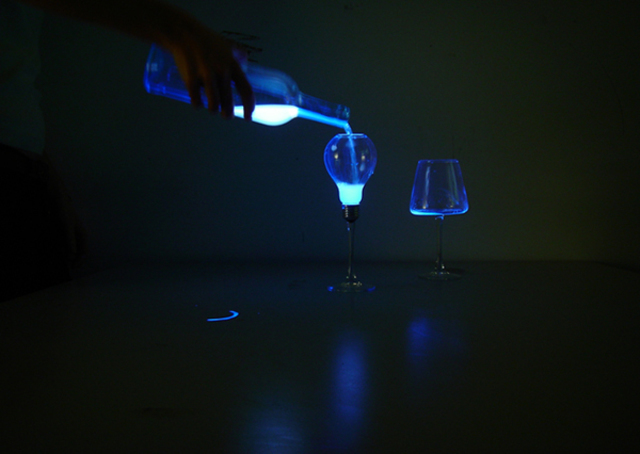 Imagine the possibilities beyond mere mood-setting of being able to control light levels in various containers in a more interactive and personal way beyond the limitations of light switches. It’s a fun exercise in stepping far outside the standard ways in which things are done and asking ourselves, how else could we do this? How might an alien from another planet approach this problem? Such questions allow us to break beyond artificial boundaries to see visionary solutions. Titled (De)Light, this project from Christina Ferraz reuses the archetypical form of a classic round light bulb for good reason: it makes you realize just how static, fragile and binary the experience of typical home lights can be. There’s something very Harry Potter about this idea — can’t you just imagine it in use somewhere in Hogwarts? Except it’s not magic. That’s the beauty of this curious invention, and others like it, opening our minds to new ideas.